We recently discussed Upper Iowa University's Online MBA with Becki Wissmiller, M.S., MBA Program Director & Business Lecturer and Betty J. Whitesell, Ph.D., Dean, School of Business. They shared how students at Upper Iowa University take advantage of the flexibility with 6 sessions, allowing students to progress at the best speed for their individual needs. What type of student typically enrolls Upper Iowa University’s online MBA program? We see a wide range of students, but a majority are coming back to earn their MBA for career advancement. 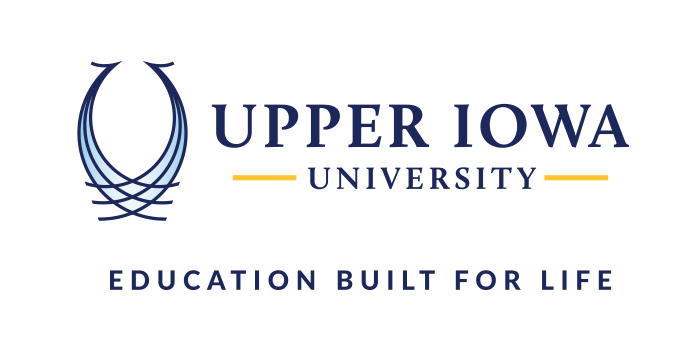 Upper Iowa University is a Military Friendly Institution and our online program provides that flexibility that is needed at just about any step in a student’s life. UIU undergraduate students completing business majors take advantage of the MBA Link program to complete up to 12 credit hours of graduate work and continue to complete their MBA as they begin their careers. Please describe how online MBA students work together: in a cohort or group projects? Students can join our program at the start of any of our 6 sessions and can move through our program at the speed they are comfortable with. Our courses utilize group projects to build the soft skills sought by employers such as the concepts of virtual team work and business function understanding. While our program does not have the rigidity of cohorts, we do see students bonding and moving through courses together, even though they are physically located all over the country and globe. How do students in the online MBA program interact with faculty? Are there research opportunities? The Upper Iowa University MBA program encourages interaction between faculty and students through multiple options. Our faculty hold office hours to be available to students and faculty are active in the class discussions and in group projects. Video conferencing is encouraged and our students build lasting relationships with faculty. The capstone course provides students with research opportunities. Upper Iowa offers multiple MBA emphasis (Emphasis Areas: Accounting, Corporate Financial Management, General Management, Human Resources Management, and Organizational Development)—can you share with us which is most popular and why? Our General Management emphasis is by far our most popular. The General Management emphasis offers students the ability (flexibility) to complete the courses that they are most interested. They can create the MBA program that they are passionate about. The General Management emphasis requires students to complete the core and the capstone of the program, but they are given the opportunity to select 5 electives they are most interested in. Students select courses from our MBA program or other graduate programs at Upper Iowa University to fulfill these electives. All Upper Iowa University students have access to our Career Development resource. What companies typically recruit MBAs from Upper Iowa University? Our students are sought out by financial institutions because of the Corporate Financial Management and Accounting emphases. We have students who have moved into management positions in the medical field and public service positions as well. Graduates have found employment in a variety of fields, such as actuarial analyst, base contracting officer, chief of police, director of clinic operations, sales managers or consultants, HR director, manager of member communications, operational risk consultant, and quality improvement engineer. Our employees move into management positions including Regional Managers, Department Directors and Vice Presidents of their departments. While the idea of working on your MBA may seem daunting, the end result is very worth the work. You will be challenged, you will have to work hard, but you will feel the accomplishment and pride in yourself for realizing your dream. The networking with classmates and faculty build life-long relationships. The MBA opens many doors for personal and career growth. Why should a prospective MBA candidate choose Upper Iowa University? The MBA from Upper Iowa University offers students the opportunity to learn the application of business concepts, not just the theory. Our faculty come to our program with real-world experience in their fields and share those experiences with our students. Students are excited they can take the knowledge from the classroom and apply to their positions the next day. Students who join our program are taught in a way that unlocks the experiences they have already had and allows them to apply those experiences in a variety of current business trends.